Extensive exposure of boxers to neurotrauma in the early 20th century led to the so-called punch drunk syndrome, which was formally recognized in the medical literature in 1928. “Punch drunk” terminology was replaced by the less derisive ‘dementia pugilistica’ in 1937. 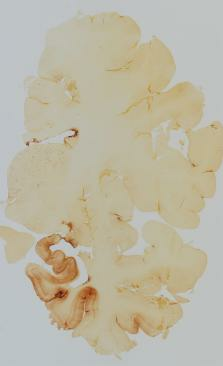 In the early case material, the diagnosis of dementia pugilistica required neurological deficits, including slurring dysarthria, ataxia, pyramidal signs, extrapyramidal signs, memory impairment, and personality changes, although the specific clinical substrate has assumed lesser importance in recent years with a shift in focus on molecular pathogenesis. The postmortem neuropathology of dementia pugilistica has also evolved substantially over the past 90 years, from suspected concussion-related hemorrhages to diverse structural and neurofibrillary changes to geographic tauopathy. Progressive neurodegenerative tauopathy is among the prevailing theories for disease pathogenesis currently, although this may be overly simplistic. Careful examination of historical cases reveals both misdiagnoses and a likelihood that dementia pugilistica at that time was caused by cumulative structural brain injury. More recent neuropathological studies indicate subclinical and possibly static tauopathy in some athletes and non-athletes. Indeed, it is unclear from the literature whether retired boxers reach the inflection point that tends toward progressive neurodegeneration in the manner of Alzheimer’s disease due to boxing. Even among historical cases with extreme levels of exposure, progressive disease was exceptional. Alzheimer's disease: the amyloid cascade hypothesis. Abstract Despite continuing debate about the amyloid β‐protein (or Aβ hypothesis, new lines of evidence from laboratories and clinics worldwide support the concept that an imbalance between production and clearance of Aβ42 and related Aβ peptides is a very early, often initiating factor in Alzheimer's disease (AD). Confirmation that presenilin is the catalytic site of γ‐secretase has provided a linchpin: all dominant mutations causing early‐onset AD occur either in the substrate (amyloid precursor protein, APP) or the protease (presenilin) of the reaction that generates Aβ. Duplication of the wild‐type APP gene in Down's syndrome leads to Aβ deposits in the teens, followed by microgliosis, astrocytosis, and neurofibrillary tangles typical of AD. Apolipoprotein E4, which predisposes to AD in > 40% of cases, has been found to impair Aβ clearance from the brain. Soluble oligomers of Aβ42 isolated from AD patients' brains can decrease synapse number, inhibit long‐term potentiation, and enhance long‐term synaptic depression in rodent hippocampus, and injecting them into healthy rats impairs memory. The human oligomers also induce hyperphosphorylation of tau at AD‐relevant epitopes and cause neuritic dystrophy in cultured neurons. Crossing human APP with human tau transgenic mice enhances tau‐positive neurotoxicity. In humans, new studies show that low cerebrospinal fluid (CSF) Aβ42 and amyloid‐PET positivity precede other AD manifestations by many years. Most importantly, recent trials of three different Aβ antibodies (solanezumab, crenezumab, and aducanumab) have suggested a slowing of cognitive decline in post hoc analyses of mild AD subjects. Although many factors contribute to AD pathogenesis, Aβ dyshomeostasis has emerged as the most extensively validated and compelling therapeutic target. Neurofibrillary tangles (NFTs) are the most common intraneuronal inclusion in the brains of patients with neurodegenerative diseases and have been implicated in mediating neuronal death and cognitive deficits. Here, we found that mice expressing a repressible human tau variant developed progressive age-related NFTs, neuronal loss, and behavioral impairments. After the suppression of transgenic tau, memory function recovered, and neuron numbers stabilized, but to our surprise, NFTs continued to accumulate. Thus, NFTs are not sufficient to cause cognitive decline or neuronal death in this model of tauopathy. [* ]Correspondence to: Rudy J. Castellani, MD, 300 Portage Street, Kalamazoo, MI 49007, USA. Tel. : +1 269 337 6173; Fax: +1 844 337 6001; E-mail: rudolph.castellani@ 123456med.wmich.edu . Revisited: spinal angiolipoma--three additional cases. Clinical Lewy body dementia and the impact of vascular components. The HIV-1 associated dementia complex: a metabolic encephalopathy fueled by viral replication in mononuclear phagocytes.